Francis Murray was the son of Francis and Teresa Murray. Francis was born about 1898 in Garvaghy, Errigal, County Tyrone. When enlisting, Francis Murray was living in Sixmilecross, but he enlisted in Londonderry. 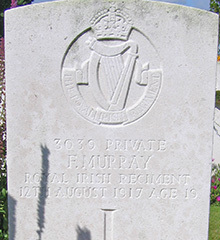 Private Francis Murray was serving with the 6th Battalion of the Royal Irish Regiment when he was killed in action in France on 12 August 1917. 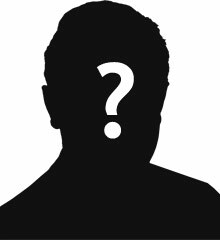 Francis’ older brother Patrick also died in World War One. Remarkably the two brothers died within 4 days of each other in August 1917.